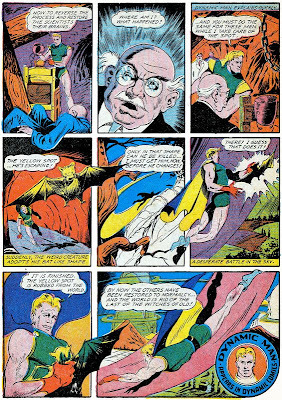 Golden Age Heroes: DYNAMIC MAN battles the Yellow Spot! 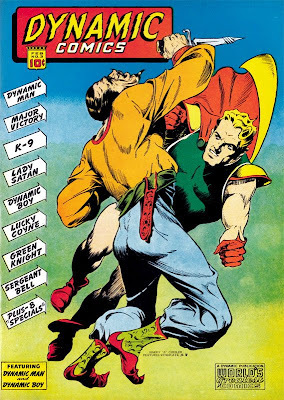 This time around not only do we have a super hero battling supernatural forces...but it's also a first appearance and a secret origin all rolled into one!! 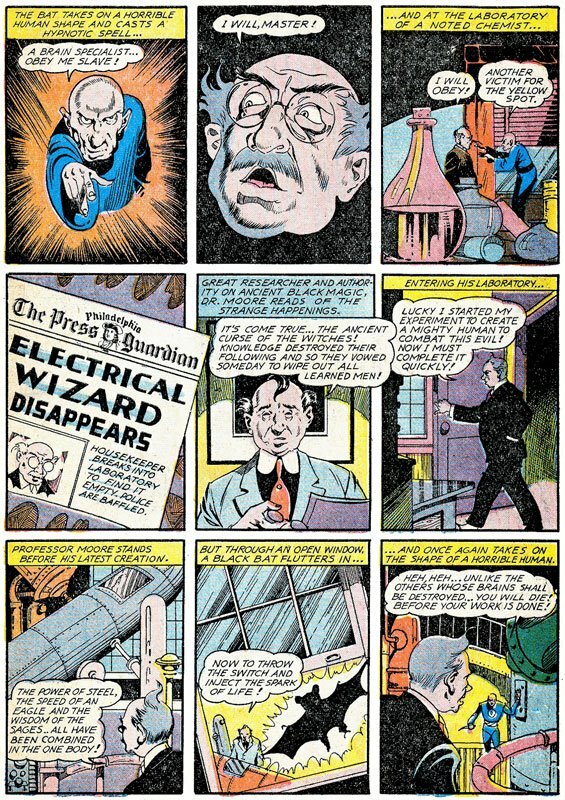 How cool is that!? 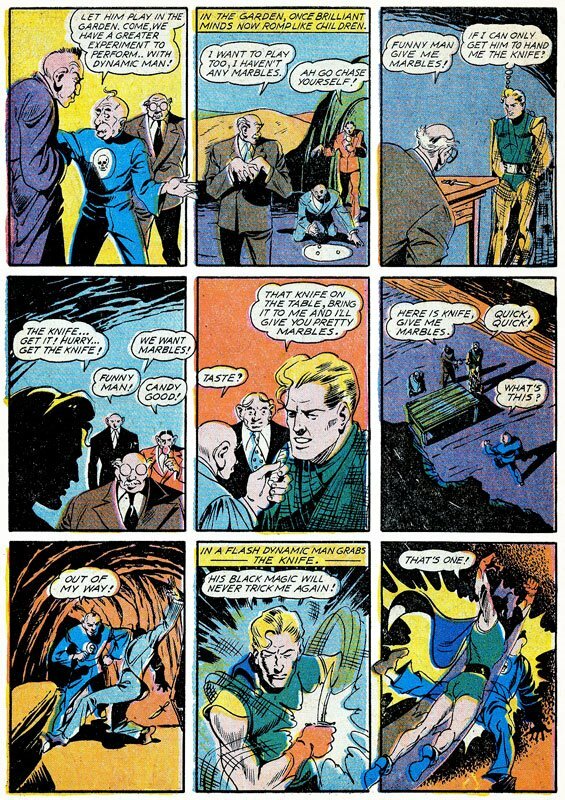 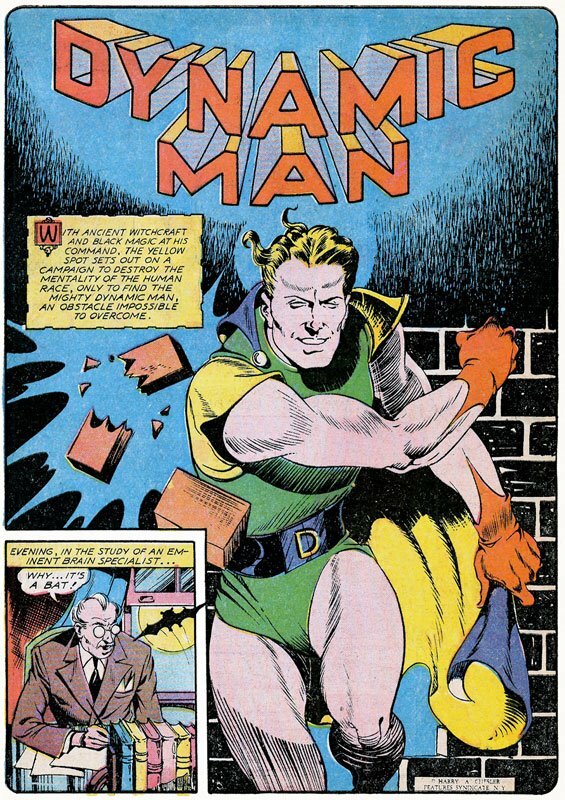 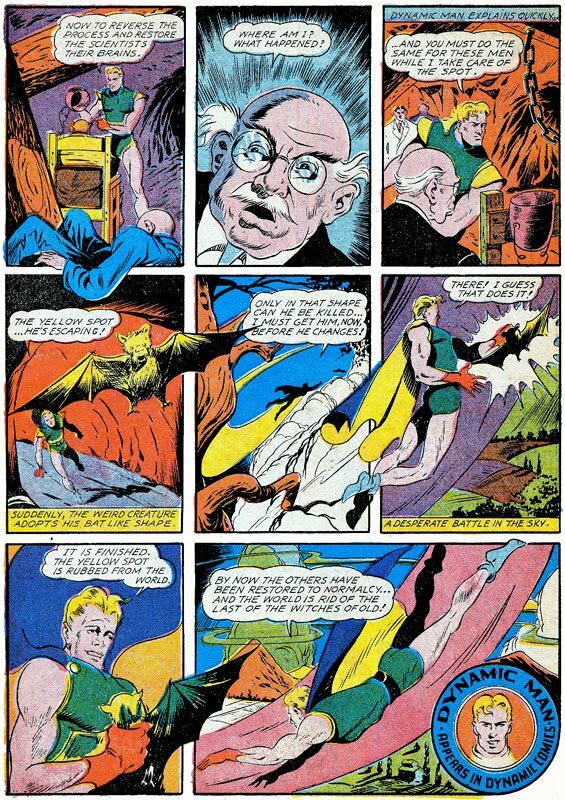 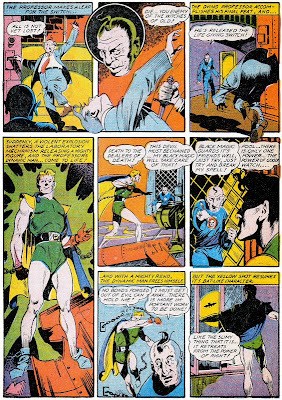 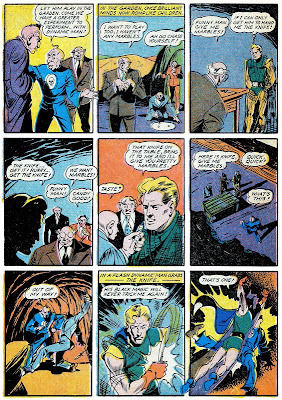 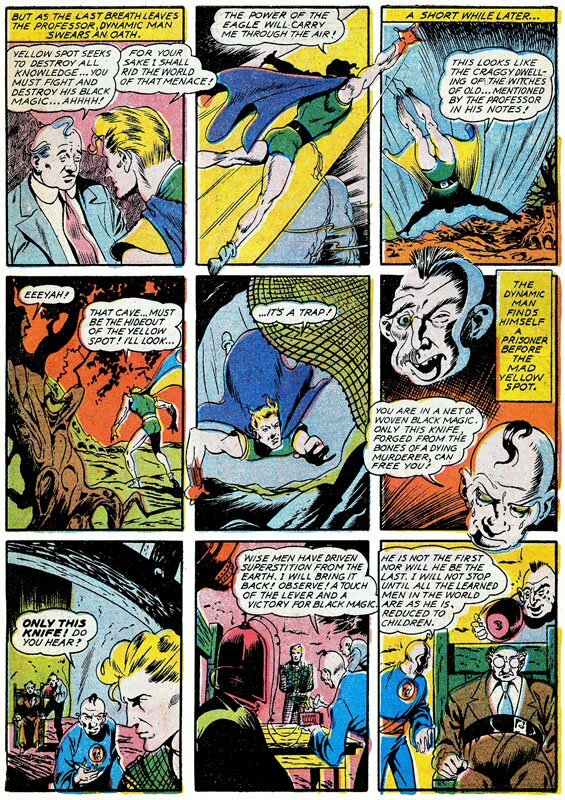 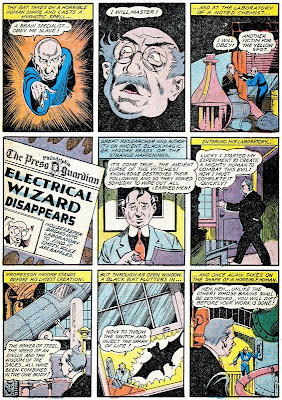 Dynamic Man appeared in every issue of DYNAMIC COMICS #1-3, 8-24 (October 1941-March 1948) (There were no issues 4-7). Doesn't the name The Yellow Spot just inspire terror!? I know I was shaking! 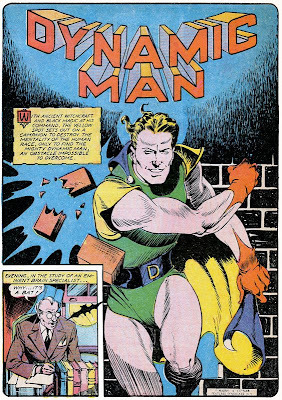 Thank goodness Dynamic Man was able to rub him out!! 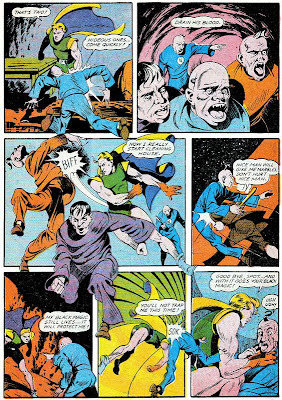 from Golden Age Comics Downloads!